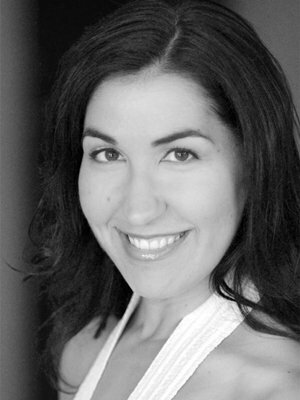 Mezzo soprano Helen Karloski is a versatile artist, equally at home in oratorio, chamber ensemble, opera and musical theater. As a soloist, Ms. Karloski has sung Mozart’s Solemn Vespers with the Mostly Mozart Festival, Haydn’s Theresienmesse with Voices of Ascension, Vivaldi’s Gloria with the Pittsburgh Symphony Orchestra, Bach’s St. Matthew Passion and Brahms’ Alto Rhapsody with St. Andrew’s Music Society, Handel’s Dixit Dominus with the Tucson Chamber Artists, and Duruflé’s Requiem with Ars Musica. Favorite performances include The Cunning Little Vixen (Hen) with the New York Philharmonic, My Fair Lady starring Kelsey Grammar and Kelli O’Hara with the New York Philharmonic, Les Huguenots at Bard SummerScape, and the New York City premier of Elliot Goldenthal’s Grendel, directed by Academy Award-nominated Julie Taymor. An accomplished ensemble singer, Ms. Karloski performs regularly with Conspirare, where she was featured on the Grammy-winning recording The Sacred Spirit of Russia, Voices of Ascension, Musica Sacra, the New York Choral Artists, Santa Fe Desert Choral, and Handel and Haydn Society. Ms. Karloski is the recent recipient of the Ellen Lopin Blair Award for First Place in the 2015 Lyndon Woodside Oratorio Solo Competition.